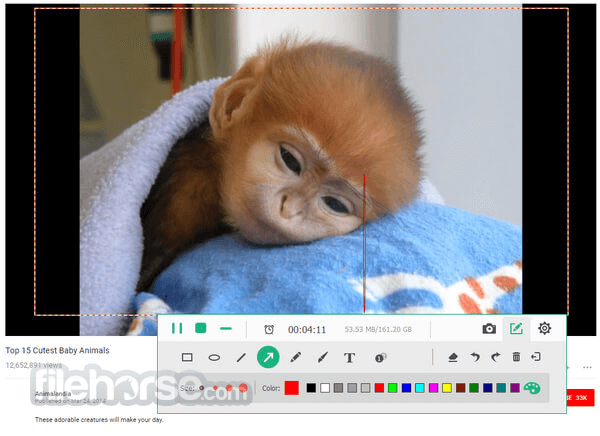 Apeaksoft Screen Recorder is an awesome free software to record any video/audio and capture screen on your Windows PC or your Mac. This excellent video screen recording program can help you easily get online movies and radio, record games, make video tutorials, capture webcam videos, take screenshot, etc. on your computer. Also, you are able to annotate your recording with a text box, arrow, highlight and more. What's more, this powerful Desktop Recorder enables you to make the settings you prefer in advance, and then you are able to record video using these settings next time. It is pretty convenient if you have lots of on-screen activities to record in the same demand. Screen Recorder enables you to record lock window as well. Choose to record video/audio or on-screen activities. Set recording area with full screen or customized screen size. Freely record system audio, microphone audio or both. Select screen device if you have more than one screen. Click or use hotkeys to record/capture or finish the project. Preview the recording video and save it as the format you want. Apart from videos, Apeaksoft Screen Recorder can also record audio only on your Windows or Mac computer. This feature enables you to record many kinds of music, radios or online audios instead of downloading them. You can save the audio recording on your computer in MP3/WMA/AAC/M4A for easy playback. Apart from videos/audio recording, Apeaksoft Screen Recorder also enables you to capture your Windows/Mac screen with ease. This function allows you to get the screenshot as you want. In addition, you can make drawings on the capture as well. For example, you are able to mark up your screenshot with a text box, arrow, highlight and more. You can record any gameplay you like and then share the project with friends, or you can record video for others' gameplay from the internet to improve your own playing skill. This screen recording software helps to save your webcam videos on your Windows or Mac computer. You can go over your Skype chatting or GoToMeeting any time. It will in time record any on-screen activities on your computer. To let your video look clearer, you can highlight your mouse cursor with customized size and color. Freely chooose the recording or capturing area. Record system voice or microphone sound. 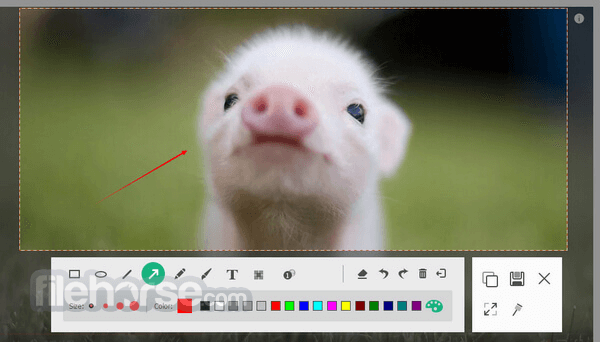 Draw, outline and add arrows or text to screenshot or video. Add your own watermark to the screen capture. Choose the screen recorder's output video quality. Select the size of a region around mouse cursor to record. Graphically enumerate the steps of your tutorial with our screen recorder. Set your preferred video/audio/image format in advance. Save screenshots to the clipboard for sharing. Record audio from system voice or by microphone sound. Set a screen recording task on a timer. Note: For the more than 3 minutes file, you could only save 3 minutes of it in demo version.